BOTEN, Laos — For five years, this remote town on the China–Laos border has lived in the shadow of more prosperous times. A commercial street at night in Boten, with only one business left over from the glory days. Dancers from Thailand with a cabaret patron after a show in Boten. Beautiful Boten resurrects many of the original plans for the town, with one crucial tweak: no gambling. 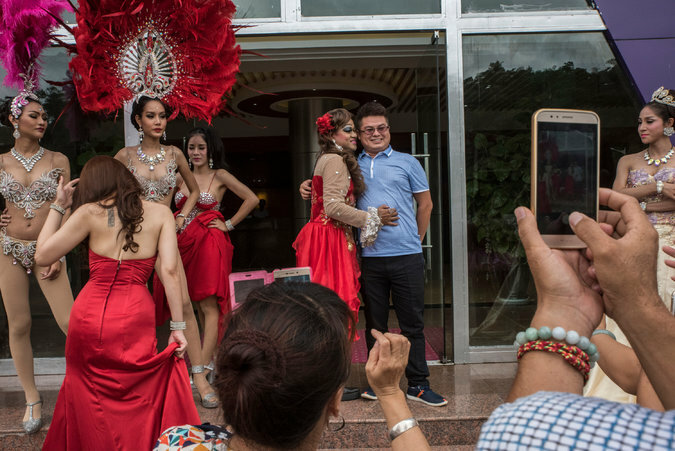 Vixay Homsombath, a Laotian official who sits on the board of the new development, said in an interview that the government had learned its lesson from Boten’s aborted gambling experiment. In a rush to bring development to this outlying region, the government gave the Chinese concessionaires too much control. “At the time, we didn’t have experience,” he said. “The old developers focused on the casinos — that was their first priority.” And the government had little idea of the potential risks. In 2003, a Hong Kong-registered company signed a 30-year lease with the Laotian government to set up a 1,640-hectare (about 6.3 square miles) special economic zone known as Boten Golden City, a trade and tourism hub intended to kick-start development in this backwater region of northern Laos. Concrete was laid and brightly colored buildings rose in the hills. Chinese tourists and business merchants poured over the border, drawn by visa-free access and gambling, which is illegal in mainland China. The casinos spawned a satellite economy of brothels, nightclubs and karaoke bars, even a cabaret featuring cross-dressing dancers from Thailand. With the Laotian customs office placed a few miles inside of Laos to make border-crossing easier, Boten became a virtual Chinese outpost, with clocks set to Beijing time and transactions conducted in Chinese currency. But just as gambling powered Boten’s rise, it also brought about its fall. 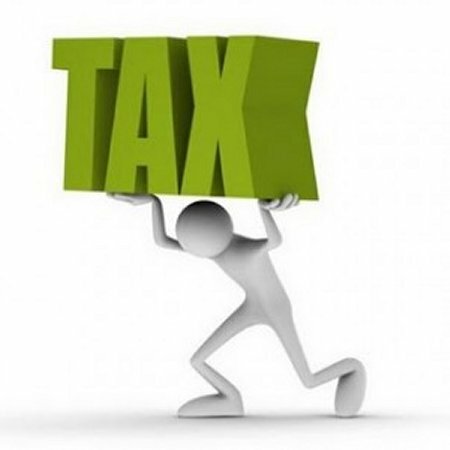 In late 2010, reports emerged that casino concessionaires were locking up visitors who were unable to pay off gambling debts. According to reports in the Chinese news media, officials from Hubei Province were sent over the border to negotiate their release. 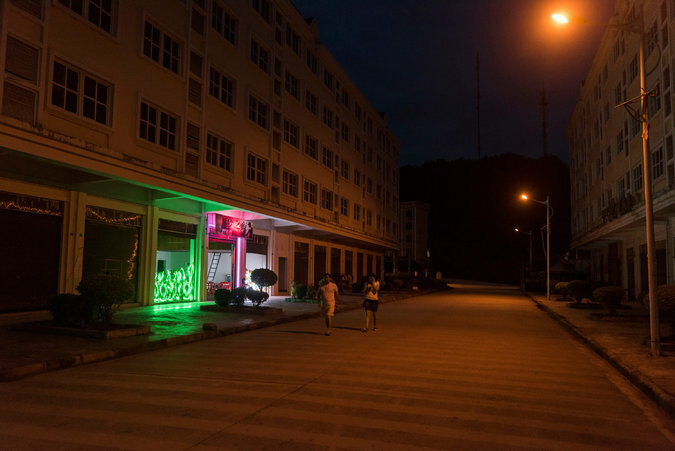 Shortly afterward, even though Boten is in Laos, China’s Ministry of Foreign Affairs ordered the casinos closed, tightened border controls and cut the power supply to the town. Boten quickly went into decline. Most shop and restaurant owners packed up and went home. From a population of around 10,000 at its peak, the town is now home to just 500 souls, eking out a living amid the collapsing infrastructure of Boten’s heyday. 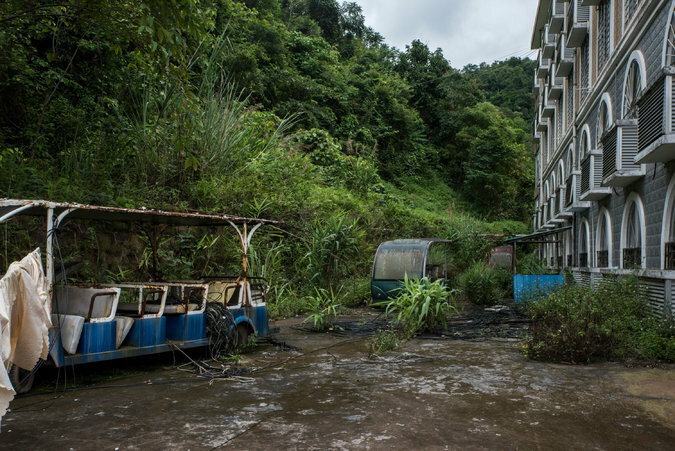 Behind a derelict hotel, decaying electric carts that used to ferry tourists and gamblers around town. At the Jingland Hotel, formerly the Royal and once the showcase development of Boten Golden City, rooms are empty and a tropical dampness spreads through the upper floors. A jagged hole gapes behind the lobby: the former entrance to a demolished casino annex. Across the tarmac other buildings stand empty, their doors fastened with cheap bicycle locks. “I’ve been here a year, but business isn’t great,” said Deng Jie, 25, who owns a bare-walled restaurant and karaoke bar on another forlorn strip of shuttered stores. But amid the decay there are some small signs of renewal. Construction is underway on a series of 18-story towers along the highway through town, which has been lined with billboards showing President Xi Jinping of China shaking hands with Choummaly Sayasone, until recently the president of Laos. A recently opened gem emporium, formerly a casino. Plans for the development of Boten exclude gambling. Not far away, an old casino has been converted into a gem emporium, chandeliers aglow above marble floors and rich red carpets. Even the cabaret with cross-dressers is back in business. The grand plans for Boten reflect the intimate ties between landlocked Laos and its giant northern neighbor. 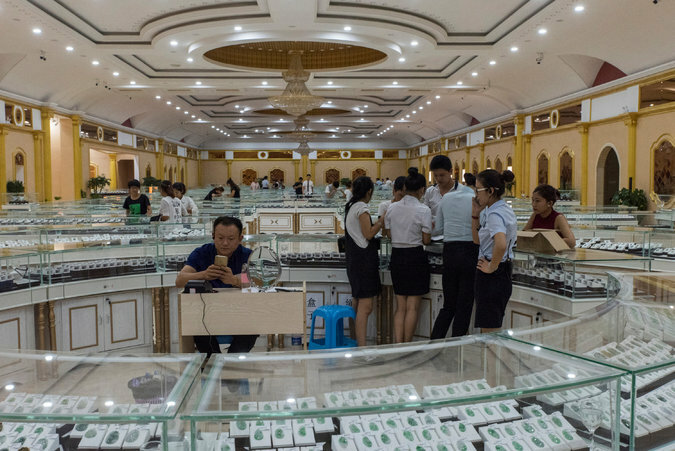 Since the early 2000s, Chinese money has poured into this communist nation of seven million people, mostly into mining, agriculture, hydropower and real estate. In late 2013, the cumulative value of Chinese investment topped $5 billion, making China the largest foreign investor in Laos for the first time. The cash has been accompanied by a wave of economic migrants from China, who have settled in Vientiane and in enclaves across the country’s mountainous north. 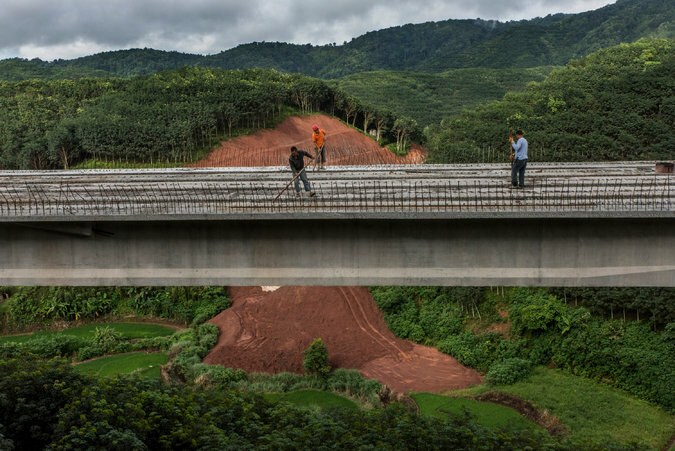 Workers along the $7 billion high-speed railway linking the Chinese city of Kunming and the Laotian capital, Vientiane, an ambitious project that broke ground in December. Paul Chambers, director of research at the Institute of South East Asian Affairs in Chiang Mai, Thailand, said that while the early investments in Boten had a freewheeling nature, the spotlight now is on more strategic interests. “China’s new focus on Boten is to make it a transportation hub facilitating greater Chinese penetration of Laos,” he said. Despite all the promises, the benefits have been slow in coming. The main duty-free mall, converted from an old nightclub, is bereft of customers, its shelves of cigarettes and single-malt whiskey standing as still and pristine as museum exhibits. More popular is an adjoining room filled with slot machines and electronic roulette tables, the only type of gambling now permitted in Boten. Analysts say that much depends on the progress of the China-Laos railway, which has been plagued by funding problems and other delays. Joshua Kurlantzick, a Southeast Asia expert at the Council on Foreign Relations, gave the project a “50 percent chance” of succeeding. The slow progress makes many Chinese business owners nostalgic for Boten’s glory days, when the lights shone brightly and the town was mobbed by cashed-up tourists. Zhang Xiangxun, 51, a shopkeeper from Anhui Province who came to Boten six years ago, runs a small grocery on the main street, its shelves heaving with Chinese beer, soap, snacks and fireworks. Business is slow. Mr. Zhang and his wife, Zou Zhonghua, 46, say they earn around 500 renminbi (about $75) per day, barely enough to cover rent and other costs. But after so many years in Laos, they have decided to wait it out. “The casino’s shut and everything’s very quiet, but we’re still staying,” Mr. Zhang said, tapping cigarette ash into an empty Harbin Beer box.